What is Voltage Stabilizer and what is its work? You must have heard of “Voltage Stabilizer” and if you use television in your home then there will be a stabilizer in your house. But do you know What is Voltage Stabilizer? Do you know what the stabilizer works and how many types of stabilizer are there? Do you know how stabilizer works? A voltage stabilizer is an electrical device that can be used to control the electrical voltage of your home. With the help of stabilizer, low voltage can be converted into a high voltage and high voltage to low voltage. Nowadays, the use of fans, LED TVs, DTH etc. in almost all households has become commonplace. But in general, our homes have such low voltage that it is difficult to run these devices in the same voltage. If these devices are used in such a low voltage then the fear of getting worse can be increased. But on the contrary, there are so many voltages needed from somewhere that our home appliances cannot bear such high voltage and burn. If you are also troubled by the problem of the random voltage of your homes, then you also need to buy a stabilizer. If you are troubled with the problem of low voltage, with the help of stabilizer, you can increase the low voltage of your house up to 2 times. But if you are troubled by the problem of overvoltage, then with the help of stabilizer, you can also reduce the voltage of your house by half to half. 1- How many types of voltage stabilizer are there? The voltage of our homes is never the same, and there is always fluctuation in it, then it is obvious that in this situation, even in the output voltage of the stabilizer, the ratio of the original voltage of our homes will be reduced, Chance will definitely come. 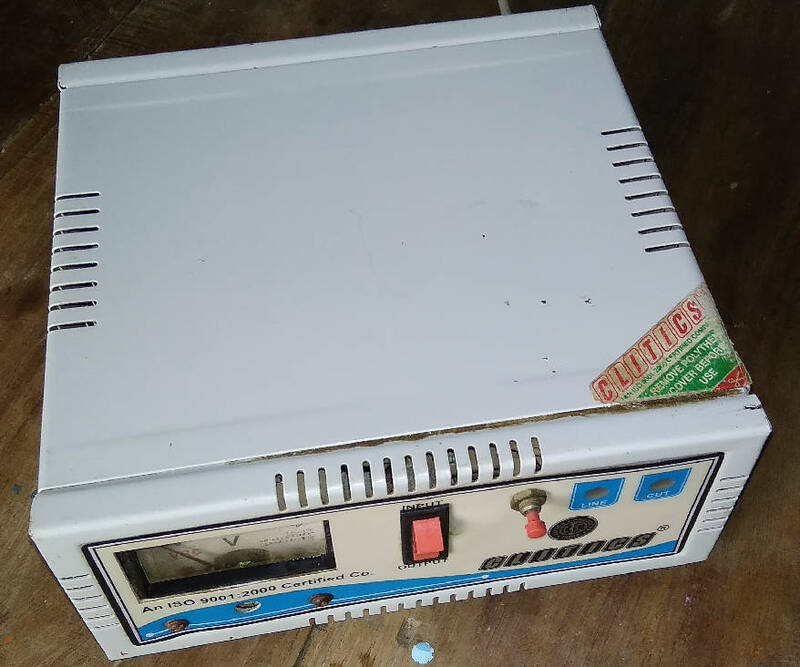 It is also generally that sometimes our homes have low voltage and at that time we are adjusting the stabilizer in such a manner that we get 220v ac but as soon as the original voltage gets increased, then only the stabilizer The output voltage also increases and increases to more than 220V. In such cases, all the equipment connected to the stabilizer gets more supply than needed, which increases the chances of burning them. In view of our problem, the stabilizer has also given the option to do more to reduce the output voltage and on the basis of our need and usage, stabilizers are also made of the following two types. The manual stabilizer gets at the lowest price in the market. Whenever there is an increase in the voltage of our house and the voltage of the stabilizer starts coming out, it automatically reduces itself in the stabilizer and red led ie the red bulb arises which suggests that the stabilizer has been auto-cut. What is Voltage Stabilizer? In the auto-cut position, getting the output supply from the stabilizer closes itself and in such a situation, we need to reduce the voltage by rotating the rotary switch knob of the stabilizer and then it provides the output supply. But since the output voltage of this stabilizer we have to control ourselves, it is called manual stabilizer. Also, since this stabilizer has a rotary switch, it can also be called a rotary switch stabilizer. Whenever there is more than one supply in our homes, in such cases, it is possible to get more output suppl than Stabilizer, but this is only in the manual stabilizer. There is no such thing in the automatic stabilizer. Because the automatic stabilizer is made in such a manner that its output voltage always remains the same. Generally, any new automatic stabilizer has an output voltage of approximately 220v, but you can do it as little or as much as you need. Since this stabilizer controls the voltage itself, it is called an automatic stabilizer. What is Voltage Stabilizer? Since this stabilizer separates automatic kit with an automatic system, this stabilizer comes slightly costly with manual stabilizer but its use is very comfortable and user-friendly compared to it. 2- How many Watts should buy Voltage Stabilizer for your home? The way a person and the machine have the ability to work, there is also a capability to work with a stabilizer. By calculating the amount of equipment you want to use on your voltage stabilizer, you have to buy stabilizer. For example, suppose that if you want to buy stabilizer for just one LED TV, Fan, and one DTH, then, first of all, calculate the watts of these three devices. Generally, the total weight of these three devices is less than 150 watts so you can take a readymade stabilizer of 200 watts from the market. Anyway, the lesser stabilizer is not available in the market, due to which you will have to buy a stabilizer of at least 200w even if you need less. If you think that after some time you can use some of the other tools on that basis, then you can buy the stabilizer of 300w or more of the same. Whenever we buy any goods from the market, we keep in mind that the goods are of high quality and can be used for long periods of time. In the same way, whenever you buy a stabilizer, keep in mind that all materials used in it are solid and durable. After this, when you are sure that all his material is of high quality then you have to take care of one of the biggest things. Actually, the most important part of the stabilizer is the transformer installed in it, and the quality of the stabilizer is only assessed by the quality of its transformer. If the transformer is not made from high-quality material then there is no guarantee that when it gets damaged by burning. Generally, the quality of any transformer depends more on the core users and the quilts used in it. If any of these items are used in making transformers, low quality can be damaged soon. Usually, the aluminum coil is considered to be of low quality and the coil of copper i.e. is considered right for the transformer. So whenever you buy any stabilizer from the market, make sure that the copper coil is used in its transformer. Although the transformer stabilizer with a Copper coil is less costly than Aluminum Coil, in quality, it is far better than many times. Always keep an eye on one thing that never uses electric iron on these small stabilizers. Normally, almost all households use automatic iron, which consumes more than 500w electricity. In such a case, if you add it to a small stabilizer like 200 or 300 watts, your stabilizer will be damaged and waste completely. So if you want to buy stabilizer for press iron then buy at least 1000 watts i.e. 1 KV.